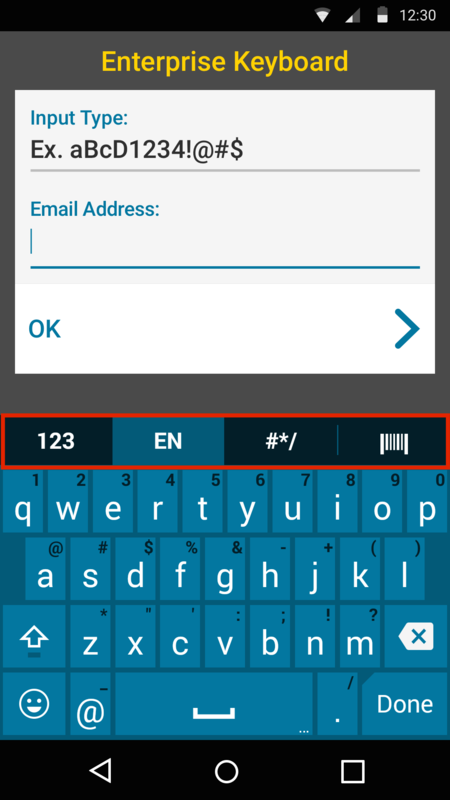 Enterprise Keyboard makes use of the Android Personal Dictionary for spelling corrections and shortcut substitutions, and permits the dictionary to be easily populated with industry-specific terms to help improve the speed and accuracy of keyboard input. A custom dictionary can be populated in bulk and mass-deployed through Zebra's Mobility Extensions (MX) and StageNow tools. 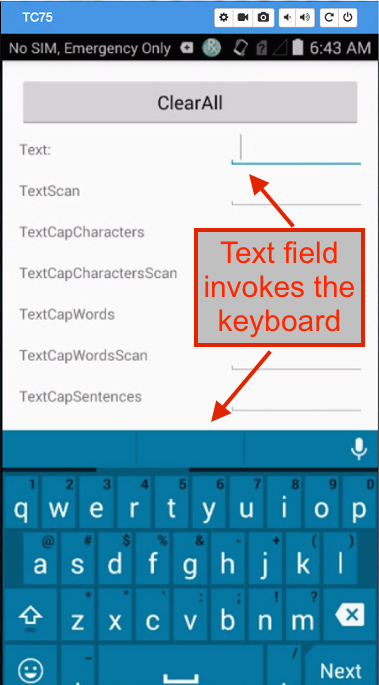 Auto-capitalization now works properly after navigating away from the alpha keyboard prior to typing. 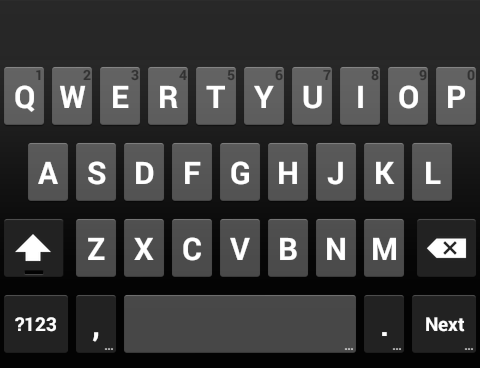 Keyboard pop-ups no longer disappear when swiping from alpha to symbol layouts and back. 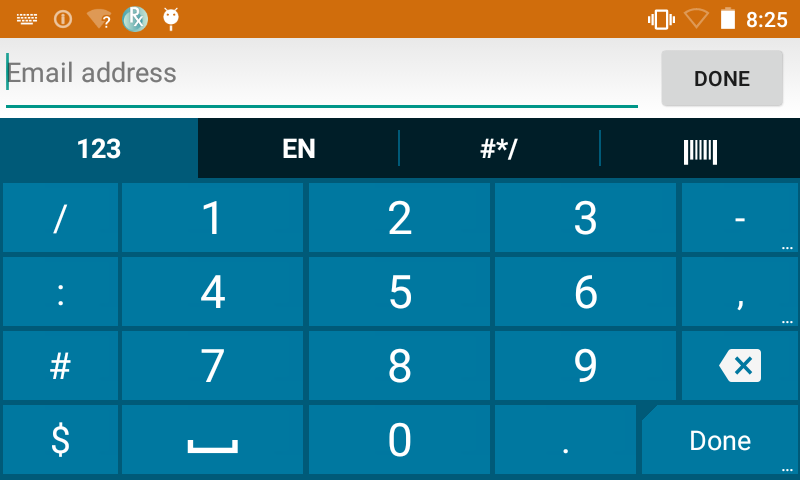 The Tab bar can be set to automatically hide away, maximizing screen space for applications. 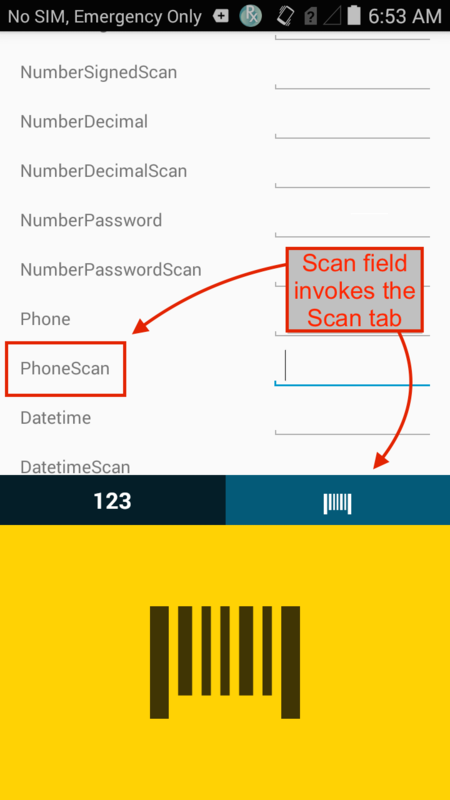 Scan directly with the Barcode tab to collect data where and when it's needed: The scan tab displays a scanner button for in-app data acquisition from barcode(s). 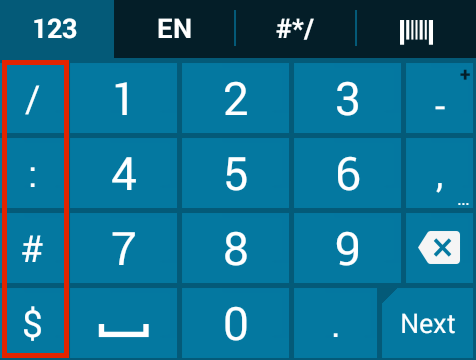 Input long-press characters with a finger-flick of the main key: High-contrast key colors are visible in all lighting conditions. 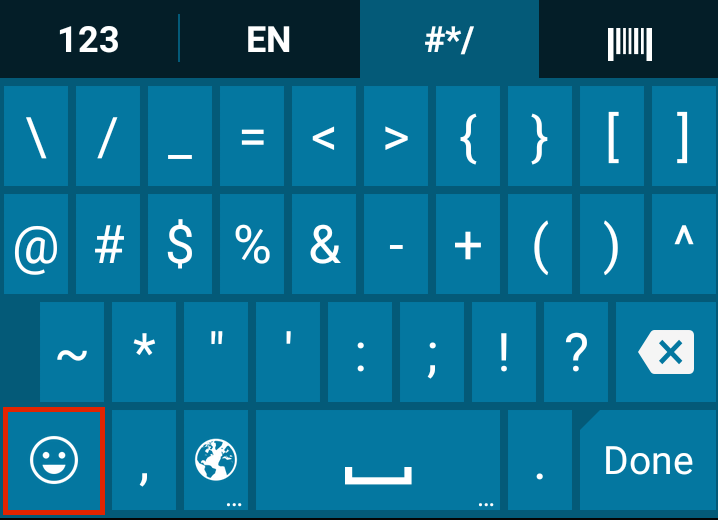 Design custom key layouts easily with six (6) remappable keys: Shown here with the EMOJI key (upper two layouts) and other default key assignments. 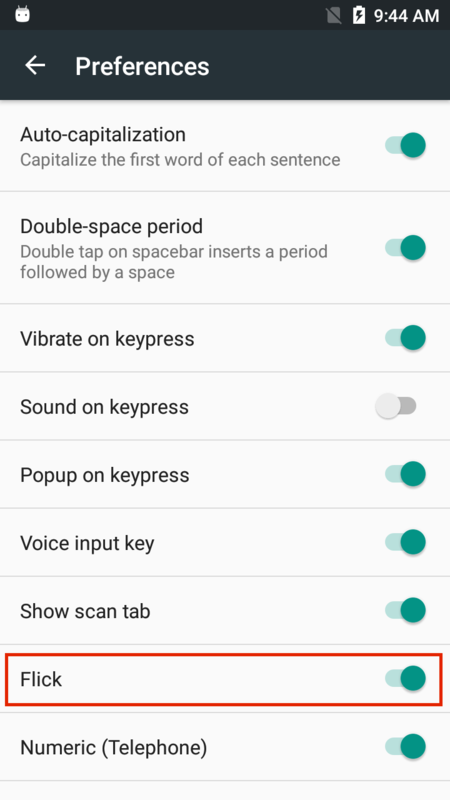 NOTICE: Enterprise Keyboard comes preinstalled on Zebra devices running Android 7.x Nougat and higher. For supported pre-Nougat devices, EKB is added as a LifeGuard patch. See download page for more information. 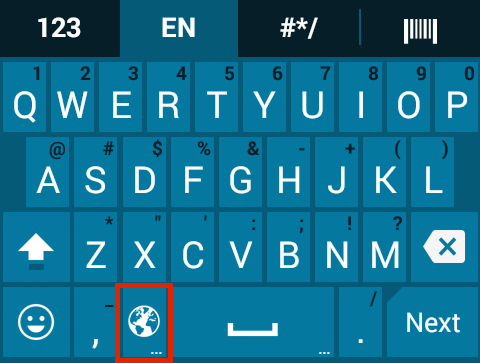 The Symbol Key P1 can be remapped to an ASCII or Unicode character or to an EMOJI symbol. 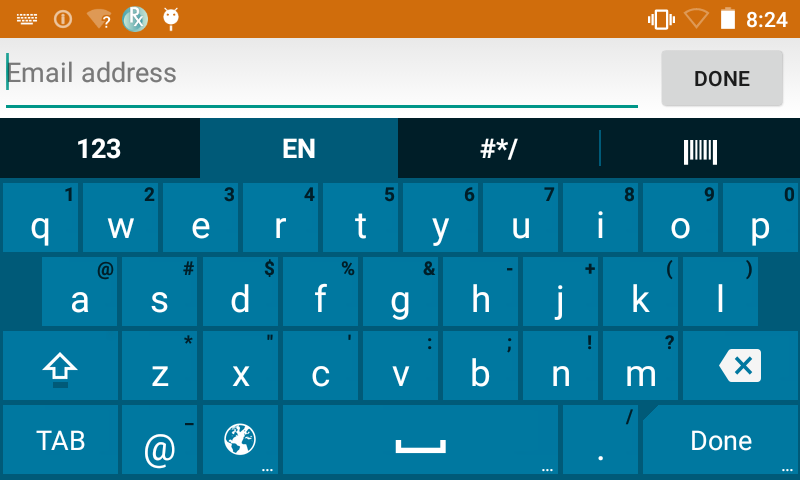 The Text Correction suggestion bar remains visible whenever voice input key is enabled, even if no corrections are suggested. 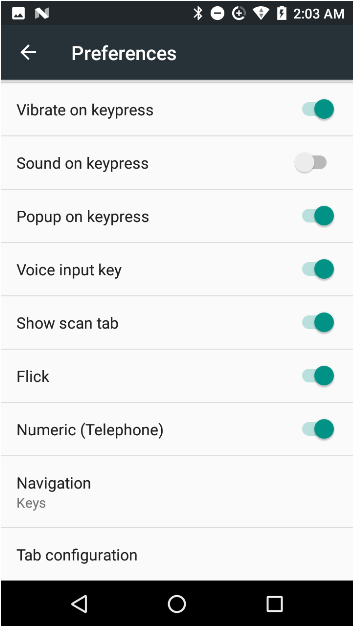 If voice input is disabled, correction suggestions (if enabled) appear only when typing. (Text Correction suggestion and other Personal Dictionary features are unaffected). 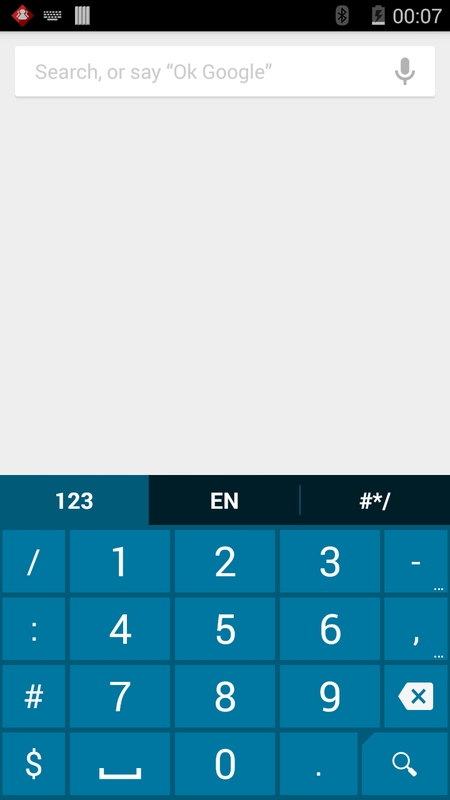 Enterprise Keyboard 1.7 comes pre-installed on Zebra devices running Android 7.x Nougat and higher. For more information and device options, see the download page. Navigation controls the means of navigating between keyboard layouts. "Tabs" mode permits switching layouts by swiping across a layout (to bring up the adjacent one) or tapping directly on the desired layout tab. The tab bar is visible at all times except when word corrections (if enabled) are being displayed. "Keys" mode permits keys to be used for switching layouts. 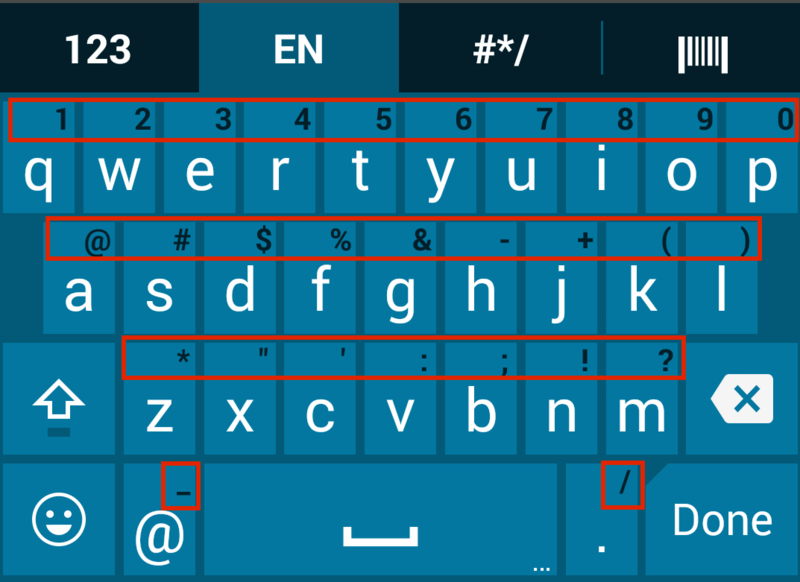 Such keys are typically in the lower-left corner of the layout. 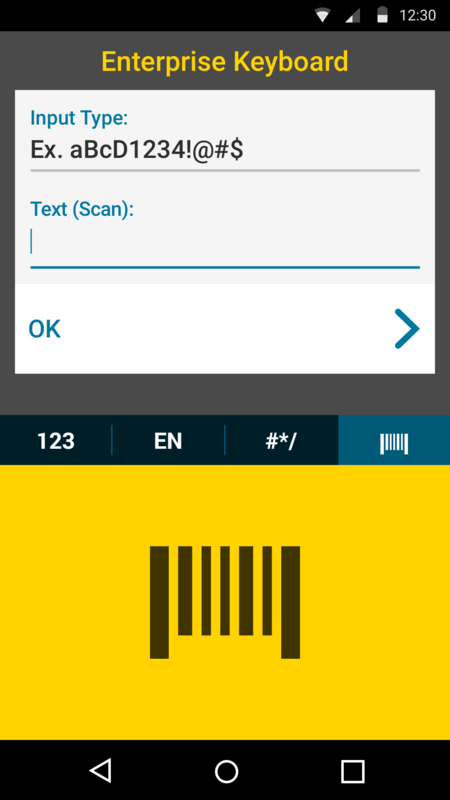 Enterprise Keyboard comes pre-installed on supported Zebra devices. For more information, see the download page or contact a Zebra representative or partner.